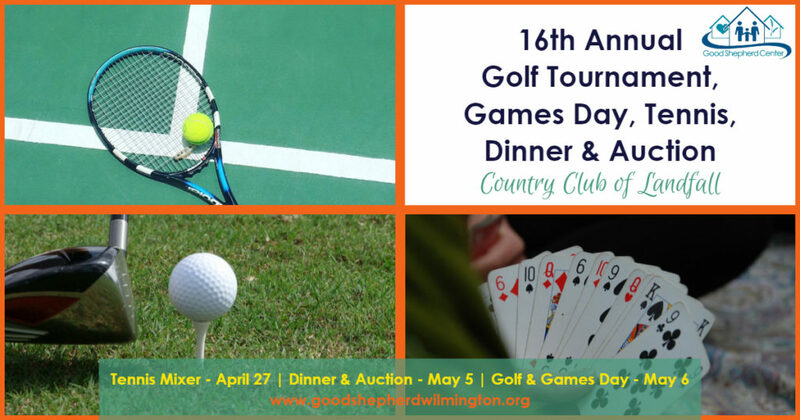 16th Annual Good Shepherd Golf Tournament at Landfall - 2019 | The mission of Good Shepherd Center is to feed the hungry, shelter the homeless and foster transition to housing. Visit our event website~learn more about the event, sponsorship, and purchase tickets. We return to the newly renovated Country Club of Landfall for our 16th year of this incredible event. Raising over $209,000 in 2018, we are looking forward to another record-breaking tournament including the dinner with live and silent auctions, golf tournament, games day, raffles, prizes, and a tennis mixer. Sponsorship is a meaningful way to support the work that Good Shepherd does in our community, with every dollar staying here locally to serve our neighbors in crisis. Sponsors can choose from a wide range of price points and benefits; this is a fantastic opportunity to market your business to an active and involved audience! Previous StoryInaugural Trike-A-Thon hosted by Messiah Lutheran Next StorySECU Lakeside Reserve UPDATE!